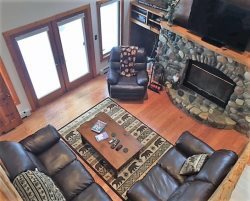 Vacation rentals, Traverse City Rentals, Boat Rentals, Rentals, Northern Michigan Rentals, Leelanau Rentals, Waterfront Rentals, Short term rentals, Short term leasing, Concierge service. Our staff have the greatest jobs in the World! We get to show-off and introduce travelers and guests to the beautiful Traverse City Area, and all that the area has to offer! Being local residents; we know the area, including local dining establishments and frequent many of the local businesses ourselves. We consider ourselves "Vacation Planners", and it's our pleasure to pass our knowledge onto you to help insure that you'll have a successful vacation. We would like to assist you in selecting the perfect rental property for your family or group! We have found that finding that perfect vacation property only accounts for a portion of the success of a vacation. Another important component is the level of service the company can offer you. Our company has a concierge department that will assist you in taking care of all the details; for example, making sure the pontoon boat that you rented is waiting for you when you arrive at your home, the crib is put together you requested, and you are assisted will any aspect of your planning that you want us to help you with regardless of how large or small your request may be! Our sales staff is dedicated to providing you with excellent customer service prior to, during and after your stay. Even though we offer "online booking" we enjoy talking with and getting to know our guests during the initial booking process. This personal attention helps us learn about your wants and needs. Our sales staff will provide you with information that will be tailored specifically to your family or group. We strive to make your vacation as memorable as possible...one that you'll cherish forever! Thank you for choosing Traverse Area Vacation Rentals. Your destination for all of your rental needs. Please include your phone number, as this will help us in assisting you faster. We respond to most inquiries within 24 hours. We look forward to taking care of you on your next vacation!